Larry and Elida Dimas didn’t have much to begin with, and Hurricane Irma left them with even less. Dimas is one of millions of Floridians who live in poverty, and an untold number of them have seen their lives up-ended by Irma. 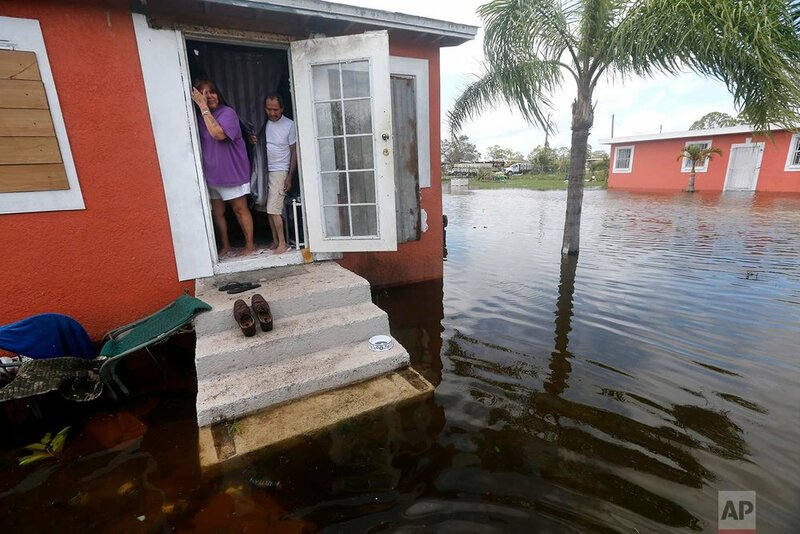 Their options, already limited, were narrowed even further when the hurricane destroyed possessions, increased expenses and knocked them out of work. “The rent is $375, and if I don’t have the money they’ll kick us out,” said Darius, 17. He lives in a grubby apartment building with bare concrete floors, burglar-proof doors and cinder-block walls that make it resemble a jail more than home. 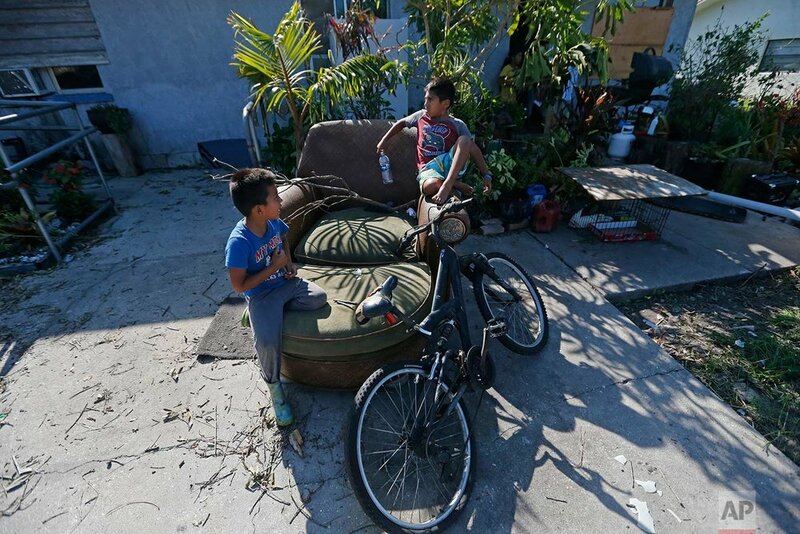 The Census Bureau estimates about 3.3 million people live in poverty in Florida — nearly 16 percent of the state’s 20.6 million population. For them, the amusement parks of Orlando or President Donald Trump’s Mar-a-Lago Club in Palm Beach might as well be on Mars. Many work by the hour in restaurants, gas stations, hotels, stores and other businesses forced to close for days after Irma, depriving them of paychecks. Others are day laborers or migrants who earn money by the pound picking produce that’s sold in stores nationwide. Still others are retirees on fixed incomes or disability checks whose budgets already were tight before Irma. Fleeing Irma wasn’t an option for those who lacked transportation to get to a shelter, couldn’t afford gas to drive north and couldn’t rent a hotel room. The likely costs associated with cleaning up or finding a new place to live pushed them closer to the edge than ever. David and Andrea Jewell survive on disability checks and live on a sailboat they bought for $1,000 on eBay years ago. 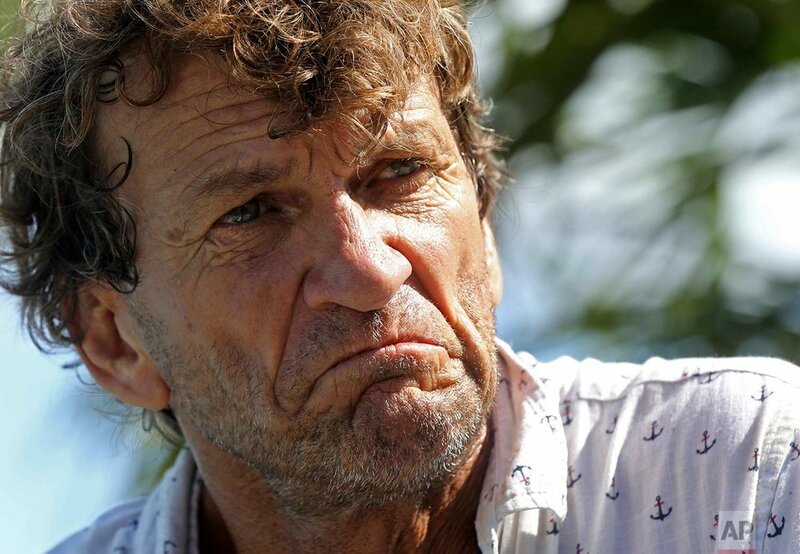 David Jewell, 51, can’t imagine now living on land; both consider the ocean — like the dolphins they watch — their only real neighbors. Dimas earns a meager living cooking hamburgers and chicken in a food truck parked by his home, and some customers already have returned — he said he sold all 40 of the hamburgers that were still safe to cook Tuesday. Dimas needs to replace the income from his rental trailer, already condemned after being split open by the wind. Dimas had used that money to help feed his two teenagers and pay for the rescue inhalers he needs for his asthma. Losing it will only make it harder for Dimas to do what he says is one of his favorite things — providing free or cut-rate food to those who have even less. Text from the AP news story, Irma pushes Florida's poor closer to the edge of ruin, by Jay Reeves.